This is the one! Stunning Arrowhead estate in the highly sought out Arrowhead Lake Subdivision. Most rare and largest 4 bed 3 bath floor plan plus an office & bonus room on just under 1/3 of an acre.Two tone paint, soaring ceilings, beautiful new wood flooring throughout upstairs with all tile downstairs. Open concept gourmet kitchen /w upgraded granite countertops, oak cabinets and newer appliances. Every bathroom also updated with matching granite. Spacious oversized dual master bedrooms upstairs with large ensuites and a private deck overlooking your resort style pool and spa. Three additional spacious bedrooms /w added Energy Package, R-38 ceiling insulation, 3 a/c units, and bronze tinted windows. 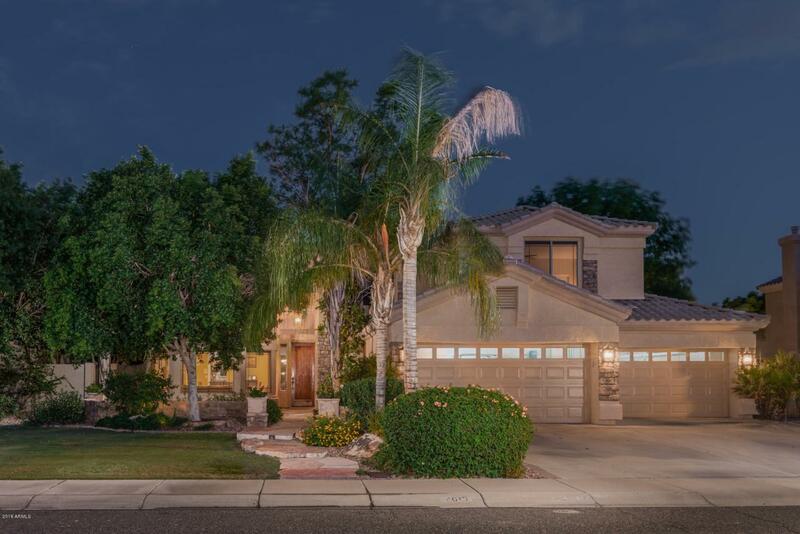 Resort style pool, heated spa and spacious yard /w an oversized 4 car garage!